2008 National USA Best Books Awards winner!
" Best Science Book 2008." 2007 ForeWord Magazine Book of the Year Awards. (USA). Finalist. Body Mind Spirit category. 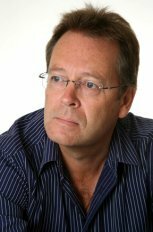 2008 Ashton Wylie Book Awards (NZ). Finalist. "A very complex and detailed educational experience. With so much to digest, the author was quite thorough in his attempt to educate the novice. His excellent references and well-documented bibliography enhanced the reader’s adventure…. The presentation, the quality of the book and the excellent writing make it worth the money." "The Human Antenna covers many areas....including spontaneity, creativity, the chakras and how it all relates to energy. In order to fully comprehend the author's message concerning these fascinating subjects, one really needs to read the book." "Rather than decrying the usefulness of the tried and true, he believes that adding to the mix by using centuries-old methods, such as acupuncture, creates a wholeness and completeness that cannot be achieved any other way. Throughout the book, the science and philosophies are beautifully balanced with personal anecdotes, case histories and easy to digest references. Yes, there is science in the book, complete with diagrams and explanatory sketches. The author covers such great concepts as Fibonacci's Rabbits, The Golden Ratio, and the meaning of the Caduceus. Reading this book is like getting an education in fresh ideas without having to sit in a classroom with 400 other clueless students!........A great book for those who have already begun their search for new ideas and knowledge, as well as those new to the concepts that Dr. Robin Kelly presents in this highly readable and enjoyable book." "All the way from the sacred geometry and Golden Ratio of Fibonacci and da Vinci, to modern holographic and quantum physics." 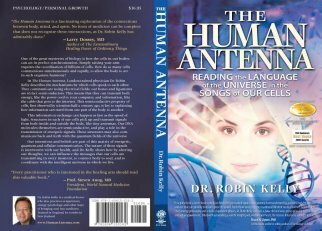 The Human Antenna has now been released throughout the USA and Canada, and worldwide through Amazon.com. It is a revised edition of The Human Aerial, with added and updated sections. For reviews of The Human Aerial please click here.